Necklaces basically comes in 5 different lengths-- very short (collar and choker), short (princess), medium (matinee), long (opera) and very long (rope and lariat). You want your necklace to enhance your outfit and flow with the style of what you are wearing. Your necklace should match your body size and flatter your figure. Think about where your 'focal point' is-- if you are tall and slender with a tapered dress, you can wear a very long necklace. On the other hand, if you are wearing a handsome collared shirt where the focus is on your shoulders and face, a very long necklace will draw eyes to two areas -- your neck, shoulder and face area, and your stomach area. A short necklace would be more suitable. Here is a *LINK* that illustrates the above fashion points very well (scroll down on page for photos). Some necklaces come in the more commonly worn lengths of 15 or 16 inches with a 3 inch extender chain. If an extender chain is not incorporated, and where appropriate, you have length options of 16, 18 or 20 inch. Some of the leather cords come with two nice adjustable knots. 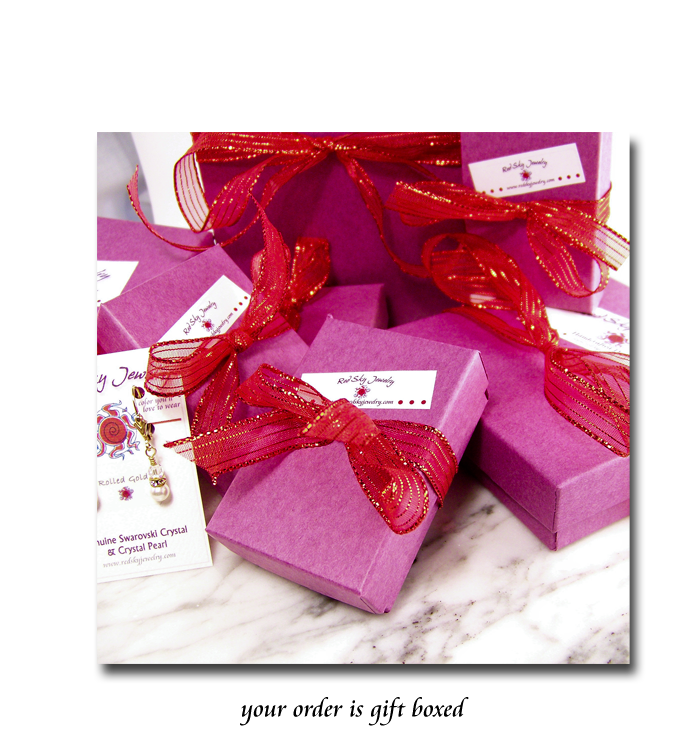 If you are buying a necklace as a gift, you may want to consider one of the necklaces that comes with an extender. If possible, a measurement of the neck is helpful in gauging where the necklace will drape. Necklace lengths are generally measured from the hollow at the base of the throat. 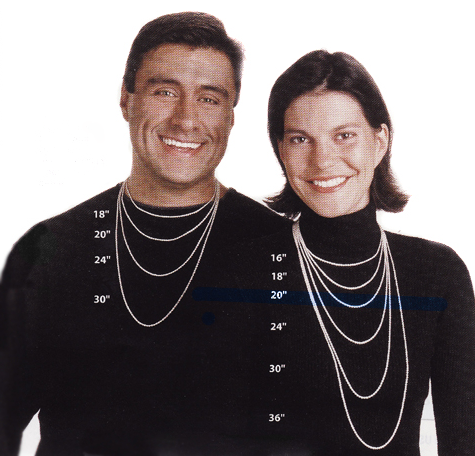 If your neck measures 13 inches, a 16 inch necklace will drape about 1 ½ inches below the base of the throat. Collar lengths lie up on the neck and go well with boat necks, V-necks and off-the-shoulder tops. Although collars are worn with casual wear, they are great for elegant occasions. If you don’t like the snugness of a collar, consider the choker length which falls just above the collarbone. Chokers can be single or multi-stranded, and can go with practically any outfit, casual or fancy, except turtlenecks. Chokers make nice choices for wedding or bridesmaid dresses. The Princess length drapes over the collar bone, and is good for either high necklines, for a collared neckline where the necklace can lie below it, or for a very low evening wear neckine. The Matinee drapes on the chest and is a good choice for office or casual wear. A simple top with either a higher neckline works best. This length adds elegance and draws attention down away from the neck. Better for higher necklines. Ropes are very long necklaces that evoke images of Coco Chanel, a woman definitely on the cutting edge. Ropes can be wrapped to make a 2 or more strand choker. Lariats are increasing in popularity. The ends are unattached allowing for versatility in tying. Lariats are now being made in shorter versions.